Zac was born in the Flathead Valley, and chose to return to the beautiful mountainscape after post collegiate work in the Silicon Valley. Zac graduated from Santa Clara University with a degree in marketing and several areas of emphasis. With advertising experience across mixed media, Zac can effectively market your property, or efficiently locate that perfect piece. 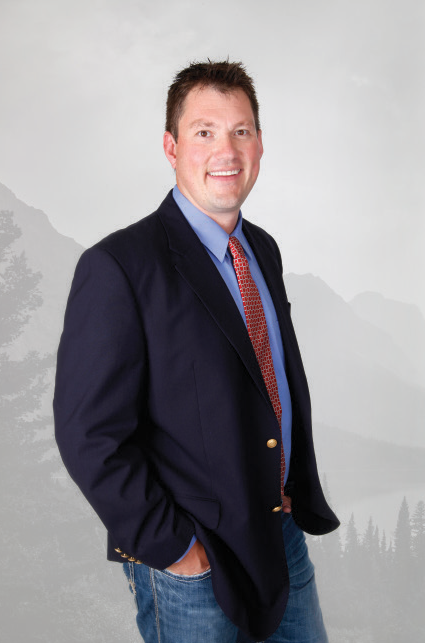 As a Broker, Zac spends a tremendous amount of time working all facets of Real Estate. If you have questions applying to working with most governing agencies, odds are Zac has worked through similar dilemmas. Zac loves the negotiation, is a relentless problem solver, and always puts in the extra time to give his clients the research advantage. “If all parties are willing, any deal can come together through knowledge, ingenuity, and the effort to seek out the solution.” Whether one needs to find that perfect deal, or wants to find a way to market a unique property, Zac can make transactions happen. Real estate sales is a service, and Zac has the tools for better service. Zac Andrews with Montana West Realty made the process of buying a house wonderful. He has great attention to detail, and took the extra time to go over all the information with me. From showing me the first property, to signing my closing documents he was there every step of the way. He did a wonderful job, I would recommend him to my friends and family. Zac did a great job getting us into our home and making the experience run smoothly! We highly recommend Montana West Realty. Zac Andrews did an amazing job helping us find our home. I could not have asked for better service throughout the entirety of the process. Thanks for helping us find the right spot! We highly recommend Zac and Montana West Realty.